Where is my pain relief? Some mornings when I get up I am reminded of the fact that I’m getting old. I haven’t been diagnosed with arthritis yet but I can’t help but know it is on the way. Heat therapy is one of the methods I use to control my aches and pains. The heat will dilate my blood vessels and allow the good blood to travel to the pained area giving me some comfort. There are all sorts of heat therapy items available for most body parts. I even like to wear a heated vest when scooting around on my bike or four wheeler. 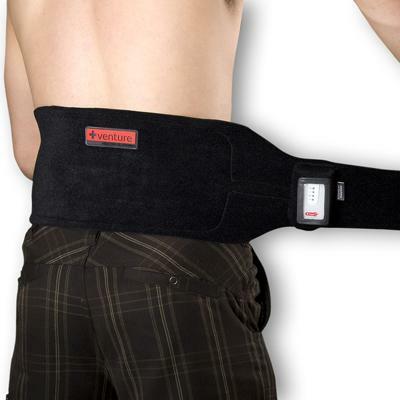 The heated back brace shown here comes in handy while sitting in the stands watching high school football. It sure does keep the draft from going up my back. There is no doubt that heat therapy can relieve stiffness and improve circulation. The heat just feels good when applied to specific parts of the body where the aches and pains occur. The very same technology that Venture Heat uses for their heat therapy products is also used for their heated vest, jackets and gloves. Join the many who prefer warmth without the bulk. 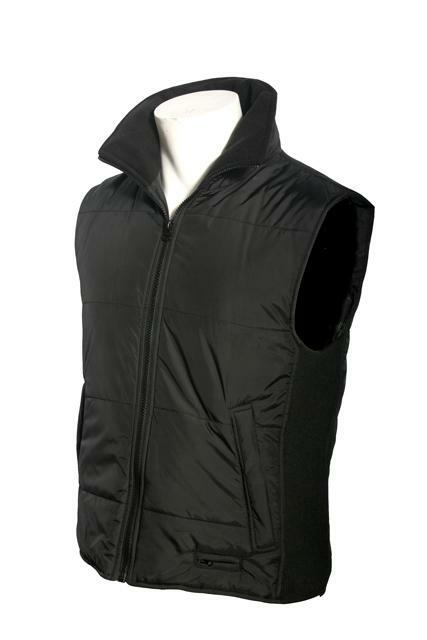 The 12 volt heated vest for men from Venture Heated Clothing comes with a battery harness, built in fuse and temperature controller. Venture Heat features revolutionary micro alloy heating fibers that do away with cables and coils running through the vest. The heating panels are pliable and flexible and fit naturally inside the vest without you even noticing them. The heating panels are carefully positioned on the front, back and collar of the vest to speed up the body’s circulation and speed up the heating process. At Lorsey.com we carry the entire line of heated clothing items available from Venture Heat including women’s and mens vest, gloves, jackets as well as heat therapy items for you back, shoulder and knee. This is a football story you are going to love and probably remember. But this story proves sports fans have something clinically wrong with them. It was -59 degrees below freezing! The frost and wind chill got so bad that people in the stands had to sit on the bathroom floors and put paper towels between the multiple layers of socks they had on. One quarter back had (and this is true) icicles hanging off his beard. So they same plastic icicles people put on their Christmas trees hung from this poor guy’s whiskers. That was the Freezer Bowl and guess what? This February the Super Bowl is going to be played (drumroll please)….in New Jersey outdoors! If you are looking for a great winter glove, then you are going to want to check out these Epic 2.0 Battery Heated Gloves. Just as the name implies, these heated gloves provide epic performance by keeping your hands warm and comfortable. 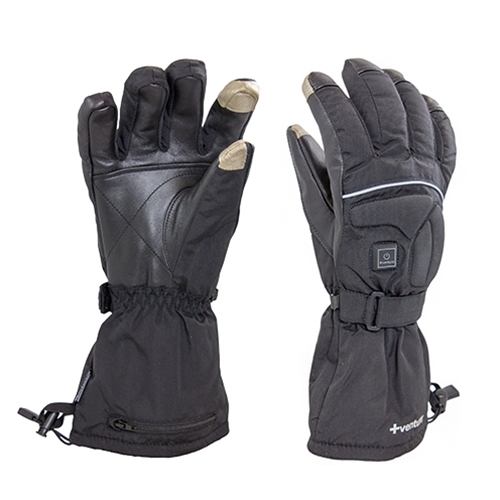 Powered by a pair of lightweight lithium ion batteries, these heated gloves will provide active heat for up to 5 straight hours. For even greater comfort, these gloves feature a built-in temperature controller so that you adjust the heat levels with just the touch of a button. As an added bonus, the fingertips include touchscreen capabilities so that you can use your phone or tablet without even having to take the glove off. We may be in the middle of summer, but before you know it the weather turns cold and many riders shut down their touring season. Now there’s a line of heated gear that will keep you on your bike with comfort and safety. Are you tired of shoveling yet? I know I am. If I had to pay somebody to plow me out I would be broke. Two weeks ago I had the nerve to take the plow off of my truck so clearly I am to blame fo the last two feet of snow we just got. The good news is there will be plenty of snow for the ski areas to enjoy a great season of skiing and snowboarding. Cross country skiers and snow mobilers too will have plenty of white stuff to play on. If you want to enjoy even more time in the snow and cold without the chill, try on some heated clothing from Venture Heated Clothing. Venture Heat has some great new styles you will love! You don’t have to shiver when you go outside. 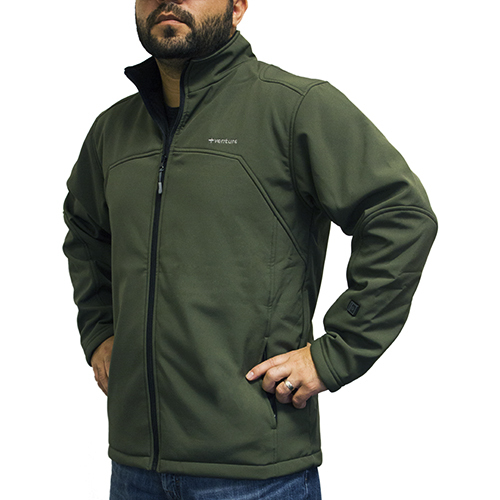 You can stay comfortably warm with the new Heated Under Garment from +Venture Heated Clothing. Powered by a rechargable lithium-ion battery the Heated Base Layer for men or women will keep you toasty warm for hours. Enjoy all sorts of winter activties, late night skiing, snow sledding or even a late season motorcycle ride. The products from +Venture Heated Clothing will provide soothing warmth all season long. It is currently snowing in Colorado, Nebraska and Minnesota. We are noticing some significant cooling around the country and we are starting to get more and more calls of where people can buy the Venture Heat product. We are anticipating a short fall and a colder winter. Don’t miss the opportunity to purchase your market the Venture product as people are searching for heated clothing online now. If you have any questions or need help please let me know. Good luck this season! 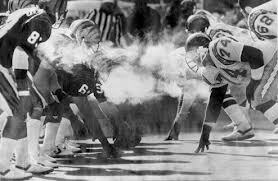 Football is here and there are plenty of NFL football games being played in cold weather stadiums. We have Ray Lewis leading the Baltimore Ravens against Tom Brady and the New England Patriots. It’s sure to be cold there. The fans will be tailgating for hours for the pregame warmups.